You’ve created your event, invited all those delegates and you realise you have no event ID card solution in place. What happens if someone buys a ticket at your event on the day? Have you thought about security access for only your staff or certain delegates? Here is where you can created an event ID card for your perfect visitor management solution. Why should you use an Event ID card solution for your events? One of the most crucial aspects of event planning is having a good quality solution to manage the flow of people and provide access control to the right team members. Promoting your brand image along with utilising a professional and secure visitor management system can be difficult to achieve. Speed can also be crucial as having delegates standing waiting for their ID can create unnecessary waiting times. At DBC Group, we understand how important time & money in addition to brand & image are to our clients which is why we created the ultimate event visitor management solution in one box. Having a one for all solution that includes lanyards and cards means that you can start printing from the moment your new machine arrives. 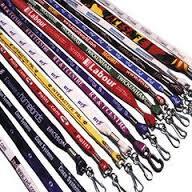 Having an ID printer at your event can save you significant time. While it makes good sense to print ID’s the evening before, sometimes it just doesn’t happen. A good quality ID Card Printer can print a full-colour ID with access control in under 30 seconds. This reduces wait time for your delegates and creates an excellent first impression. Despite the initial cost of the printer being expensive, if you are using the printer for more than 100 users over its lifetime, it actually can save you money. The bundle we are offering catering to 200 people works out at only €5.47 per delegate. Why go to the expense and time of sending out your cards when it can be all done in-house using your own marketing collateral. The Zenius Printer comes with a 3-year warranty meaning complete peace of mind. Having your logo and branding on your ID cards provide a powerful marketing solution. 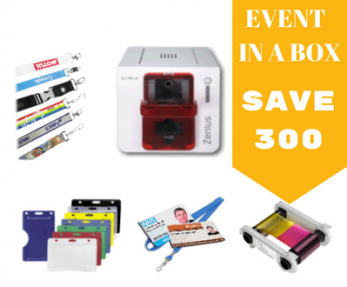 If your event is has hundreds of delegates or guests, that’s hundred’s of eyes on your brand. This is very powerful advertising which costs you very little. Affixing a magnetic stripe imprinted with a passcode onto each employee’s ID card can do more than simply increase security by restricting access. By assigning each card its own passcode, a company will be able to easily keep track of each employee’s in and out times, equipment and facility usage at any event. Interested in hearing more? Call us today at 014602200 or fill in your details.